The second OzEWEX national workshop was a great success, with well over a hundred participants, many inspiring presentations and lots of stimulating discussion. The workshop was held at in Broadbeach, Queensland, on 2 December 2015. We joined forces with the organisers of the bi-annual MODSIM2015 conference and made use of the one-day break in the conference schedule. 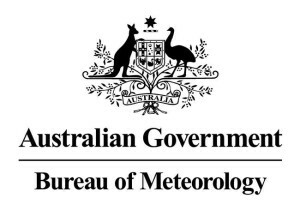 Among the 110 participants 55 hailed from Australian universities, 25 from national agencies (the Bureau of Meteorology, CSIRO and Geoscience Australia), 8 from state agencies and private industry, and 25 from overseas organisations. The workshop was organized under the joint auspices of the Global Energy and Water Experiment (GEWEX), the Hydrological Ensemble Prediction Experiment (HEPEX) and the Modelling and Simulation Society of Australia and New Zealand (MSSANZ). Workshop was free thanks to generous support from the European Union project eartH2Observe – Global Earth Observation for Integrated Water Resource Assessment, the Commonwealth Scientific and Industrial Research Organisation, The Australian National University, Bureau of Meteorology, and ARC Centre of Excellence for Climate System Science. Participants explored the theme ‘Spatial hydrology: observation, modelling and forecasting’ in plenary sessions and three parallel discussion sessions. You can find the workshop proceedings, including abstracts and presentations, via this link. In the plenary session, Prof David Maidment (University of Texas at Austin, USA) introduced CUAHSI and the US National Flood Interoperability Experiment. The positive experiences in organising a summer school for promising students focusing on the use of national data sets and high performance computational infrastructure struck a chord with the participants, and created much enthusiasm to pursue a similar activity through OzEWEX. Next, Dr Jaap Schellekens (Deltares, Netherlands) presented on the current status and road ahead of project eartH2Observe – Global Earth Observation for Integrated Water Resource Assessment. Participants were impressed with the substantial progress the project has already made, including the freely available global hydrological model ensemble, which includes an Australian contribution. Prof Howard Wheater (University of Saskatchewan, Canada) provided a perspective from Canada’s Changing Cold Regions Network, a sister GEWEX Regional Hydroclimate Project. The large-scale high-resolution climate modelling undertaken in the network led to considerable enthusiasm for a similar continental modelling exercise in Australia. Finally, prof Eric Wood (Princeton University, USA) explored our ability to close the global water cycle using long-term Climate Data Records. Despite remaining uncertainties, our understanding of the global water balance has clearly come a long way. In addition to the plenary session, in three parallel streams participants presented and debated six topics of specific interest to OzEWEX through ongoing activities in the different working groups. Organised and chaired by the ‘Observational Data’ working group (WG), this day-long session discussed future observation opportunities and the direction government agencies are pursuing, especially in terms of earth observation data. Invited speakers were chosen to engage the community in these developments and to discover what needs to be addressed with higher priority in the near future. Three different sub-topics were explored. 1) Emerging technologies for plot-to-regional scale measurement were presented and discussed, including ongoing development of the Australian cosmic ray probe (CosmOz) network and plans to use the technology for regional mapping of soil moisture; the use of airborne drones in hydrological applications; and the OzFlux flux tower network, which has done much to further water and energy understanding in Australia, but is facing funding challenges and has started a crowdfunding initiative to maintain the infrastructure. 2) New developments in data and computation infrastructure were discussed, including presentations on the National Computational Infrastructure and Geoscience Australia’s Data Cube infrastructure. Clearly, much progress has been made in providing free access to high quality national Earth observation data assets and derived products. 3) New and existing Earth observation capabilities were explored, including the presentation and example uses of the global hydrological data products through the EartH2Observe project, and some long-term, global scale Earth observation programs were presented, both from a data perspective and a policy perspective. Stimulating discussion focused on the need of high-resolution data and models. Participants felt that Australia has unique opportunity to support the validation or evaluation or Earth observation missions and hydrological modelling, with several monitoring networks providing a wide range of observations at many sites (e.g., OzFlux, CosmOz, OzNet, among others). However, the infrastructure shows signs of ageing and needs support to be maintained. There was some debate whether crowdfunding is the right way to maintain largely federally funded infrastructure. Finally, Australia will be chairing the Committee on Earth Observation Satellites (CEOS) in 2016 and the ways in which OzEWEX can support this role were debated. 1) Socio-economic factors play a significant role in the risk of natural hazards (e.g. flood risk is worse if people build and live on flood plains), and should be taken into account. This aspect was deliberately excluded from the special issue to retain a focus on the hazard rather than the risk, it was considered an important issue to be considered in future. 2) A unified approach to attribution of impacts is not possible until we have a unified approach to describing the hazard, or a better understanding of what we do and do not know about it. This point emerged in several of the reviews. Examples include the need for clarity on the difference between flood risk and hazard, around the different definitions of drought (e.g., whether the concept of socioeconomic drought is useful), and the distinction between sea level rise and multi-decadal or multi-centennial variations in sea level, storm surge and tide, and so on. 3) The opportunity to produce a common message and common list of research questions, and provide information on what is required to address those questions, along with tasks and likely resources required. Such an exercise could help ensure that limited available research funds are deployed strategically to maximise science outcomes to understand future changes to Australian natural hazards. Over the coming year, the working group will finalise the special issue and start implementing the recommendations arising, with a focus on specific and achievable outcomes within a one-year timeframe. Organised by the ‘Data Assimilation’ WG, participants explored spatial and temporal error characterisation and the evaluation of models and data products against verification data. Progress in the OzEWEX Soil Water Estimation and Evaluation Project (SWEEP) was presented. The discussion can be summarised as “beyond RMS and correlation”, as presenters described the pros and cons of these two commonly used metrics for model and data evaluation, often in the context of soil moisture data assimilation. Some propositions that were discussed include: Is the use of triple colocation and variants thereof as a suitable approach to derive spatially explicit error estimate of observations for assimilation? Is quantifying bias as perhaps more important than random error in models? Is the common practice of ‘bias correction’ in data assimilation inappropriately named, as it suggests models are less biased than observations? Is correlation is an appropriate metric for evaluating time series of soil moisture data, particularly as modelled and observed estimates often differ in terms of meaning and units? Correlation mainly shows a products ability to identify rain-driven peaks in the time series, but are other metrics (e.g., mean error and RMSE) still needed for a comprehensive performance assessment? Is there such a thing as ground ‘truth’ for soil moisture when there is such a large disparity in scale between the surface observations and the remote sensor instantaneous field-of-view? Is it useful to explore alternative spatial information sources as indirect measures of model performance (e.g. land surface temperature to ‘evaluate’ soil moisture)? This session, also organised by the ‘Data Assimilation’ WG, focussed on the need and the challenges of assimilating multiple observations, usually with differing spatial and temporal characteristics, into hydrological models. Participants agreed that a common challenge to multi-objective and spatial data assimilation (DA) is the representation of model prediction error variance, and particularly covariance. In spatial DA this means the spatial correlation of errors across a geographic region of interest, while in multi-objective DA it is the correlation of error between data sets (e.g. multiple soil moisture data sets from sensors operating on similar principles). The discussion focussed on issues rather than solutions to the challenges of characterising model prediction error covariance. These included: Ignoring off-diagonal (covariance) terms in the prediction error matrix can lead to underutilisation of observations. This becomes increasing pronounced as the modelling spatial resolution increases relative the observation resolution. Ensemble representation of model uncertainty (i.e. the probability density of the model state) will struggle with the low-number statistics problem as the state variables increase in dimensionality. Inferring error covariance from a 10-100 member ensemble can result in artefacts (spurious or long-range correlations) in the matrix. The increased dimensionality of state variable (>107 cells) creates greater computational challenges and numerical instability when inverting such large matrices. Participants agreed that much can be learned from the atmospheric and oceanographic DA communities, especially around lower dimensional representations or data, regularisation, and localisation. Participants explored the idea a new joint OzEWEX activity to examine alternative approaches to multi-objective assimilation based in a synthetic experiment based on observations, such as those from the SMAP-EX field validation campaigns. Presentations in this session, organised by the ‘Model Evaluation and Benchmarking’ WG focused on the role of vegetation response to water availability in CABLE and other land surface models. Furthermore, Josh Larsen (University of Queensland) presented an idea for a regional OzEWEX project in the Surat Basin (Queensland), where there is great uncertainty of the impact of irrigation, land clearing and coal seam dewatering on groundwater, surface water and surface-atmosphere exchanges. Discussion in this session naturally focussed on the presentations, but broadly involved observational and structural constraints in land surface modelling. Questions debated included: Does calibration of land surface models typically result in overfitting, in the sense that results are metric, variable and calibration data set dependent? To what extent does the tendency for parameters to calibrate to unreasonable values represent physical inconsistencies in land surface models? The role of multiple independent datasets, metrics, variables, timescales and equifinality was discussed. The nature of the PLUMBER land surface model comparison was also mentioned, particularly in the context of water limited conditions, and which aspects of land surface model representation might lead to performance improvements relative to the out-of-sample empirical models used in that work. This session, organized by the ‘Hydrological Prediction’ WG, hosted five invited presentations in two parts: (1) understanding uncertainties in streamflow forecasting and (2) Bureau of Meteorology’s operational seasonal streamflow forecasting systems. Prof Tony Jakeman and Dr Barry Croke (ANU) succinctly summarized challenges and issues of parameter identifiability and suggested eclectic approaches in model selection, parameterization and calibration. A simple deconvolution to examine data errors was introduced. Dr Francis Chiew (CSIRO) presented two main issues in predicting water futures: non-linear climate-runoff relationships and large uncertainties in rainfall projections. Dr Murray Peel (University of Melbourne) presented the potential sources uncertainties in model-based runoff projection as interpreted from extensive calibration experiments and historical streamflow data analyses. He concluded that the conceptual rainfall runoff models currently used are not capable of reproducing non-unique rainfall-runoff relationship to varying wetness regimes, due to the combination of imperfect model structure and calibration/verification. In the second part, Dr QJ Wang (CSIRO) and Dr Narendra Tuteja (Bureau of Meteorology) presented the operational seasonal flow forecasting system these organisations developed. Dr Wang discussed opportunities for increasing seasonal forecast skill by merging statistical and dynamical forecasts, and by integrating climate model outputs for longer-term forecasts. Dr Tuteja described the evolving streamflow forecasting performance of the operational system and a roadmap for NWP models for the near future. Verbal and emailed feedback from the participants made it clear that the workshop was successful. Some of the adjectives used included well-planned, well-organised, well-run, informative, enjoyable, relaxing, interesting, and inclusive. Mentioned most often as an aspect that could be improved were the three concurrent sessions, which created difficult choices for many of the participants. Other suggestions in terms of content included a short session on case studies demonstrating the value of R&D to industry; a few talks on ‘verification’ ; and a limit on the number of targeted government or industry talks, focusing on engagement and science and data needs. In terms of organisation, suggestions made included: separate workshops for some of the WGs; fewer or shorter talks to negate the need for parallel sessions; two instead of three parallel sessions; to enforce presentation timing to maximize discussion time; to pre-circulate discussion topics and have the conveners lead these discussions; and break-out and/or round-table discussions to debate some hot-topics or challenges. Each of these suggestions will be carefully considered when we start planning the next workshop later this year. Most importantly though, there was a clear wish for further continuation of discussion and activities in the WGs. Therefore all the reason to look forward to a productive and collaborative OzEWEX year.